Special Collections and University Archives collects in the topical area Architecture and the Built Environment, including drawings, renderings, project files, and specifications of architects and historic preservationists, with an emphasis on the built environment in Oregon. Architectural collections described in this list contain primary source materials that can be used in a variety of ways: in writing neighborhood histories, for historic research on different styles of architecture, for in-depth studies of a particular architect's work, as support material for proposals adding a structure to historic registers, or in constructing new buildings in period styles as well as in remodeling or making repairs. Renderings, plans and drawings, specifications, and project files comprise the largest segments of materials found in the architectural collections, which date from the mid nineteenth century to the mid twentieth century. Initial collecting was done on a regional level as part of an effort to document the cultural heritage of the Northwest. Reflecting this policy, 23 out of 33 collections belong to the Northwest, many being Oregon firms located in Portland. Other collections are of a national scope. It should also be noted that several collections listed are the work of landscape architects. Entries were compiled by consulting finding aids and descriptions of manuscript collections which referred to both architects and architectural firms. The list is arranged alphabetically by architect or firm. Significant items and projects are highlighted within the description as are inclusive dates of materials, types of materials, and size of the collection. University Archives holds additional architectural materials related to campus projects, and the Design Library has materials supporting the study of architecture. Drawings and photographs, 1951-1962. 3.25 cu. ft.
Eugene, Oregon architect. Includes drawings, specifications, and photographs for public buildings in the Eugene-Springfield area. Coll. 145, PH 272. Percy Dwight Bentley (1885-1968) was an architect from the Midwest who practiced in Lane County, Oregon from 1939-1961. His early work shows the influence of Frank Lloyd Wright and Louis Sullivan. The collection documents his work from 1951-1962 and includes churches, residences, and commercial structures. Papers, 1921-1962. 16 lin. ft. Architect, practicing in New York, 1915-1923, and Portland, Oregon, 1923-1967. Includes working drawings for residences and public buildings, plans, specifications, correspondence, and photographs for 62 projects. 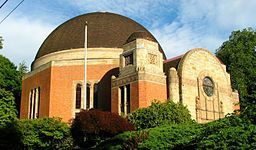 Major projects include the M. Lloyd Frank estate and Temple Beth Israel, both located in Portland, Oregon. Ax 330, PH 114. Drawings and papers, 1920-1967. 33.75 cu. ft. Architect and architectural delineator. Collection includes Butcher's renderings of buildings designed by Pacific Northwest architectural firms such as Burns, Bear & McNeil, Jacobberger & Stanton, Harry A. Herzog, and Richard Sundeleaf. Butcher's own plans, designs and some correspondence are also included. Coll. 137, PH 042. Selected papers, 1884-1886. 1 folder. Architects of Boston, Mass. Letters and documents relating to a suit against Henry J. Corbett to recover money for architectural services. CA/1886/Dec. Papers, 1900-1960. 5 lin. ft. Architect and author, of Vermont. Includes an autobiography and manuscripts of three books, with correspondence concerning their publication. There are also drawings, plans, and photographs of churches and ecclesiastical furniture designed by Congdon and his father Henry Congdon. Ax 593, PH 011. Papers, 1947-1979. ca. 14 cu. ft.
Portland, Oregon architect and architectural historian. Includes plans, specifications, and drawings as well as research files on Oregon barns and California cottages and material on a proposal to create an architecture school at Portland State University. Slides and photographs are also included. Additional slides are in the Visual Resources Collection. Coll. 57, PH 142. Architectural plans and photographs, ca. 1927, of James W. DeYoung and Knud A. Roald. 1 folio & l box. See H. Clyde Reese; also John Pratt. Selected papers, 1924-1927. 4 folders. Records, 1934-1946, of Walter H. and Florence Holmes Gerke. .5 cu. ft.
Landscape architects for the city of Portland, Oregon. Projects include gardens within Washington Park (Portland), planting plans for the Bonneville Power Navigation Project, and Dammasch State Hospital. Coll. 144, PH 275. Architectural plans and specifications, 1939-1959. 5 lin. ft.
Portland, Oregon architect. Includes tracings and other data for 27 projects, most of them in Portland. Ax 599, PH 122. Historic American Buildings Survey. District 39. Records, 1934-1938. .35 cu. ft. The Library is a depository for records for the Pacific Northwest Region, including architectural drawings, photographs, cultural resources reports, and other historic documentation. Search the Library of Congress database collection to find available projects and view digitized materials. PH 314. The Library is a depository for records for the Pacific Northwest Region, including architectural drawings, photographs, cultural resources reports, and other historic documentation. Search the Library of Congress database collection to find available projects and view digitized materials. PH 315. Architectural drawings, 1912-1957. 52 folders, 3 cu. ft.
Portland, Oregon architect. Includes projects done by the firm Knighton & Howell, 1922-1938; projects by Howell after William C. Knighton's death in 1938, and one project by Knighton prior to his partnership with Howell, 1912-1913. 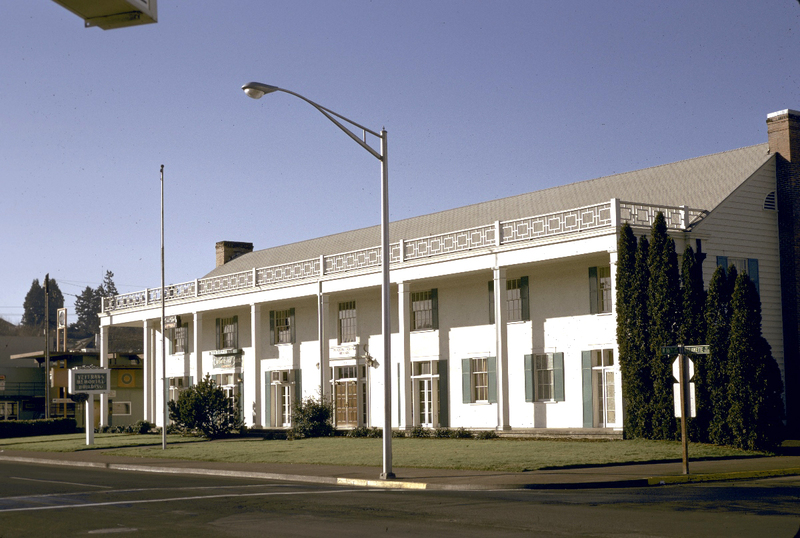 Among significant joint projects are the Oregon State Office building and Grant High School in Salem, the Boys' Training School in Woodburn, and the Pythian Home in Vancouver, Washington. Coll. 146, PH 273. Records, 1910-1962. 20 lin. ft. plus drawings for over 500 projects. Drawings, plans, specifications, and miscellaneous material relating to the Oregon State Capitol building, 1936-1967. Architectural plans and drawings, ca. 1920. 1 folio. Papers, 1906-1925. 6 lin. ft. including about 4,000 letters. Architect and first dean of the University of Oregon School of Architecture. Includes job files of Lawrence and Holford, and general correspondence files relating to architecture, including correspondence with artists and architects, such as Allen Eaton, J. H. Friedlander, and Walter R. B. Willcox. Ax 56, PH 105. Project files and architectural drawings, 1926-1960, 4.5 cu. ft.
Portland, Oregon firm formed in 1947 whose principals included Abbott Lawrence, Ernest F. Tucker and George R. Wallmann. Drawings include many University of Oregon buildings (Eugene) and University of Oregon Medical School buildings (Portland). Coll. 113, PH 073. Drawings and papers, 1929-1970. 21 cu. ft.
Elizabeth Lord (1887-1976) and Edith Schryver (1901-1984) were the first firm of professional women landscape architects on the west coast, located in Salem, Oregon. Their practice focused on garden design for private residences but also included gardens for Reed College, College of Puget Sound, Salem parks, several Salem schools, and a variety of public city and state-owned buildings. Includes plans and drawings, correspondence and office files, subject files, and photographs. Coll. 98, PH 146. Architectural plans, n.d. 1 folio. Diary, 1916-1918. In the Horatio Hyde Parker Papers. Portland, Oregon architect. Diary describes life in New York City, 1916-1918. Architectural drawings, 1887-1958. 1.5 cu. ft. Selected papers (photocopies), 1919-1964. 3 lin. ft. Architectural notebook, 1910-1912. 1 volume. Papers, 1909-1965. 55 folders. 19 cu. ft.
New York City architect. Includes plans and specifications for 760 jobs. Smythe was instrumental in recreating and restoring the village of Stony Brook on Long Island, New York, and was also noted for the creation of the modern store front as typified by the Melville Shoe Corp. of Thom McAn shoe stores across the nation. Coll. 134, PH 171. Architectural drawings, 1953-1977. 4.5 cu. ft.
Portland, Oregon, architect. Collection includes drawings, job files, and related material. Coll. 196, PH 196. Architectural renderings, 1912-1935, of Albert Sutton and Harrison Allen Whitney. 78 pieces. Architectural drawings, 1906-1952. 31 cu. ft., including 269 sets of plans. Real estate broker who collected plans in order to assess property values for investment purposes. Arranged by type of building and includes plans of apartments, banks, office buildings, hotels, residences, stores and theaters. Major architects represented are: Emil Schacht, Martin Schacht, John Bennes, A. E. Doyle, and Edgar Lazarus. Coll. 94, PH 140. Architectural drawings, 1937-1971. 12 lin. ft., including 138 sets of plans. Consists of working drawings, sketches and final plans for 138 projects in Washington and Oregon. Papers, 1915-1962. 35 lin. ft.
Seattle, Washington architect. Includes 238 sets of specifications, with correspondence, photographs, and sketches. Also includes 266 sets of plans and drawings for architectural work done in Idaho, Montana, Oregon, and Washington. Ax 373, PH 115. Architectural records and professional correspondence, 1930-1967. 40 lin. ft. Drawings and papers, 1892-1947. 20 lin. ft., including about 10,000 letters. Architect and teacher. Architect practiced in Burlington, Vermont and Seattle, Washington. He was head of the Architecture Department, University of Oregon, board member of the American Institute of Architects, and developed an adaptation of the economic philosophy of Henry George. The papers include an autobiography; correspondence with architects, students, and economic theorists; a project file; and drawings and plans. Major correspondents include: Charles H. Alden, C. O. P. Hammond, Thomas R. Kimball, Ellis Lawrence, H. Van Buren Magonigle, Paul D. Richardson, William J. Sayward, Arnold Soughwell, Frank Waugh, Charles H. Whitaker, Charles E. White, L. D. Beckwith, James J. Sayer, C. R. Walker, and A. R. Weaver. Ax 96, PH 110.